Some cute and adorable pictures of baby rabbits and cute little bunnies. 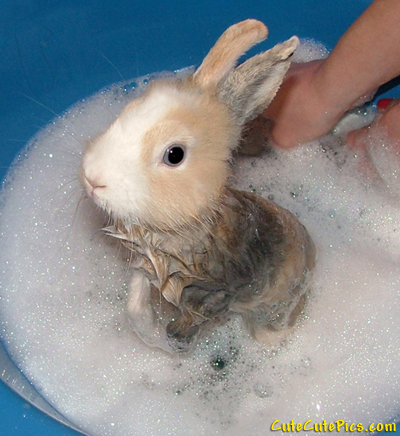 Picture of bath time for bunny: A really cute little rabbit gets a bubble bath. Dark colored cute baby rabbit only a few days old (Kinda cute and kinda ugly, actually). hi i love rabbits they are so cute i wish i had one. omg these pis are soooo adorable i can’t stand it i love baby bunnys!!! i love bunnys. the pictures below are so cute!!! Never bathe a rabbit, it can make them sick, even kill them. They are also afraid of water. They are naturally meticulous groomers and clean. I hope this baby rabbit lived through the experience. i love all of these pics, they are so cute!!!! The bunnies are the most adorable bunnies i wish i had a baby bunny!!! Those bunnies are so adorable, I wish i could have a baby bunny!!! i love the pic of the baby bunnie taking a bath so cuuuuuuuuuute!!!!!!!!!!!!!!!!!!!!!!! those bunnies are so cuuuuuuttttttte!!!!!!!!!!!!!!!!!!!!!!!!!!!!! did you know bunnies dont need baths . that bunny looks scared, not cute! I love cute bunnies!!!!!!!!!!!!!!!!!!!!!! !I wish I had a bunny.There so cute!!!!!!!!!!!!!!!!!!!!!!!!!!!!!!!!!!!!!!!!!!!!!!!!!!!!!!!! It’s a nonsense to bath a rabbit, and it’s very dangerous for them. I have a bunny,but mines a dwarf bunny,and it’s muck cuter. the pics are so cute and adorable!I love them! I Love being around baby rabbits all the time! They are so cute! baby rabbits are so cute because they are so little. poor bunny, you shouldn’t give bunnies baths they can clean themselves. I agree with Robin (October 21 2008)(top of pg somewhere) Rabbits should not be given baths. Beside the possible side effects of death, disease, sickness, and tramatization, it messes up the rabbit’s fur. realy? i did not know that giving rabbits baths can kill them? i own a rabbit and now i know that im never ever ever going to give my rabbit a bath!!! o and i have a question for all of you rabbit lovers out there… my rabbit has these bubble looking things sticking out of his eyes. what does that mean??? my friend who owned the rabbit before me told me that my poor rabbit is slowly going blind!!!! :( someone help!!! They are sooooooooo cute I apsalootly love them so badly. I love bunnies im going to get ine for my class pet on wesday or thursday i love bunnies they are so cute. Yes, WHY ARE YOU WASHING A RABBIT??? They fur absorbs the water and they’ll maybe die! i love them they r so cute and also i have to baby girl rabbits 10 weeks old !!!!!!!!!! BUT NEVER I REPEAT NEVER GIVE A RABBIT A BATH IT COULD KILL THEM !!!!!! I HOPE U SURVIVED BUNNY! LOVE THEM! SOOO CUTE! i want IT !!!!! they are so cute and the baby bunny is so small. they all are so cool,cute,awsome. i love them. 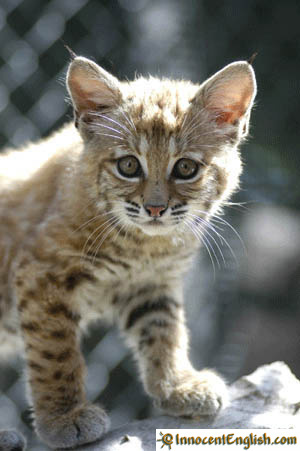 when i grow up im going to have like 50 of them cause im going to have my own animal shelter. espesilly BUNNIES!! !I already have 5 of them i love them so much.you people lisning you should adopt a bunnie rabbit.I LOVE BUNNIES!!!!!!!!! Our bunnies had gotten 27 march babys (4) 2 died but they are so cute my haert are broken of the other 2 that died i love bunnies they are nise soft and very calm. these are the cutes rabbits!!!!!!!!!!!!!!!!!!!!!!! hey that little bunny taking a bath was really cute and also the baby bunnies in the cups was really cute and also there is one on google there is a baby bunny about 2 inches tall i dont really know i am just estimating it and also i love every single picture of the bunnies. ooooooooooooowwwwwwwwwwwww those baby rabbits are so cute i wish they where for sale!!!!!!!!!!!!!! !